Cybernats and cyberbrits: How do they affect mainstream political debate? 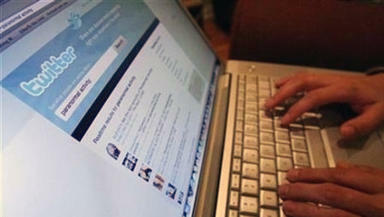 Scotland Tonight discusses the phenomenon of abusive online comments and attacks. It has been described as “a daily injection of poison into the well of Scottish public life” and Scotland Tonight has taken a look at the phenomenon of abusive rhetoric in online political debate. The time could not be more crucial, with the referendum on Scottish independence only two years away, and fears emerging that the war of words between so-called ‘cybernats’ and ‘cyberbrits’ could distort or even stifle mainstream political discourse. Labour peer Lord Foulkes claims crediting for coining the term cybernat to describe Nationalists and supporters of independence who conduct rhetorical guerrilla warfare on Twitter, Facebook and the comment threads of newspaper websites. Rather than initiating discussions about policy or ideas, cybernats demonise those opposed to the SNP and independence and dismiss them as, inter alia, cowardly, unpatriotic, and even traitorous. In response, SNP and pro-independence bloggers and tweeters point to what they see as a mirror phenomenon: the cyberbrit, those supporters of the Union or of the Unionist parties in the Scottish Parliament who attack Alex Salmond and SNP politicians with bilious invective and false allegations. Natalie McGarry, an SNP activist and blogger, has described these social media bomb-throwers as ‘cyberbullies’ who do not represent most digital political activists. Ms McGarry, who tweets as @nataliemcgarry, said: “Well, David Torrance likes to affectionately refer to me as his ‘favourite cybernat’. I think that's done in a kind of teasing manner, because of the narrative that goes alongside the term 'cybernat'. But I think as far as I'm concerned, anybody who behaves in a manner which the 'cybernat' tag refers to is a cyberbully." Lord Foulkes, who has been a victim of cybernats, explained how he devised the term, saying: "I imagined these people sitting up all night, at midnight, one o'clock, two o'clock, three o'clock in the morning and they were posting these things, and I thought: They're cyberfreaks. They're nats... Cybernats!" Cybernats and cyberbrits have greater freedom on some websites than on others. On those sites where comments are pre-moderated, it is more difficult to see your obnoxious barb make it through the filter of the site’s editorial standards. Where comments are reactively monitored and threatening or defamatory messages removed only after a complaint has been lodged with administrators, the belligerence can flow more freely. Ms McGarry added: “Certainly, there is an issue with people who use very negative narratives and deplorable behaviour. I have been a victim of intolerant language myself but I think a lot of this is really happening outwith the notice of the general public. That's probably a positive thing until people go back and address their behaviour." The SNP has previously acted against members, and in one case a minister’s aide, over cybernat behaviour. However, as Scotland enters the long campaign for the referendum, all parties will have to consider the impact on their brand of people who claim to fight their corner on social media.